Remember when you were in elementary school, and playing some ball game, and no one could decide on a call, so you just got a do-over? Lancelot is having a do-over when I get home. I found I placed the stitch markers in the wrong place to start when joining the arms, which really wasn't so bad. But now my stitch count is off, and I don't know where or how it happened. So, I am just going to start over. Also, the patron is now uneven, and that is just unacceptable. The pattern is well written, but you do have to pay attention. I hope the seconday time through will be a bit easier. 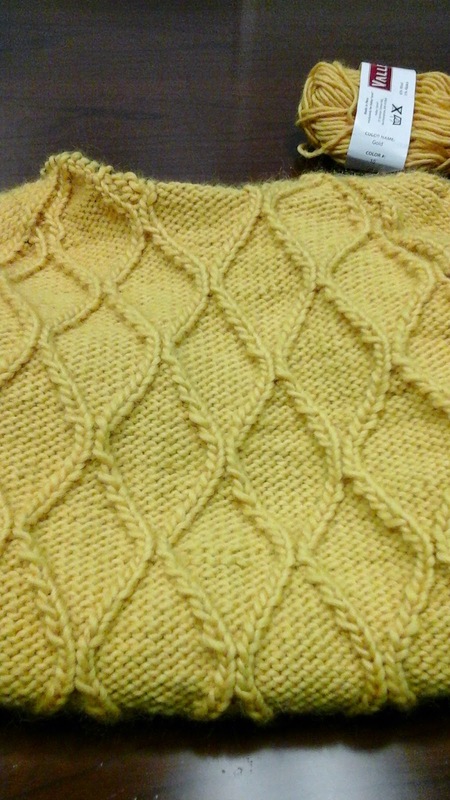 How is your knitting progressing this year so far?